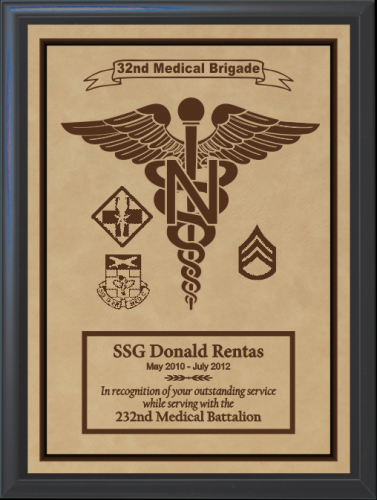 A new addition to our selection of Military plaques. Laser etched leatherette plate (the look of genuine leather) on a black plaque board. A quality look at a very reasonable price! 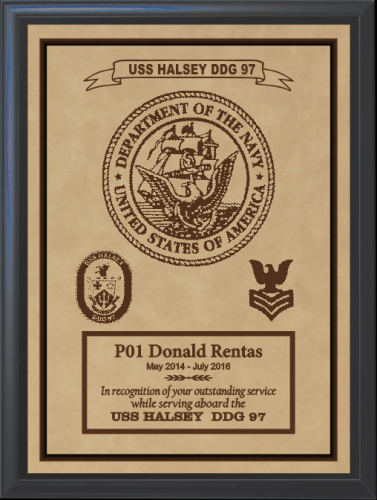 Add a large size emblem, crest, or adwork of your choice and add smaller crests/ranks around. 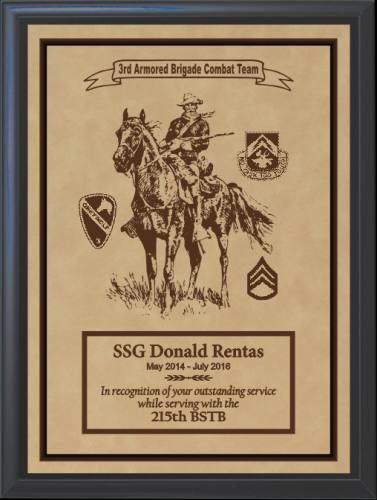 Our Military Leather "Emblem" Plaque features a light brown leatherette front, laser etched, on a black plaque board. 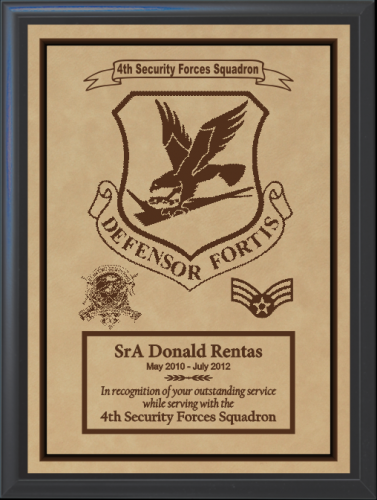 A large emblem, crest, or artwork of your choice and smaller crests/ranks if desired. 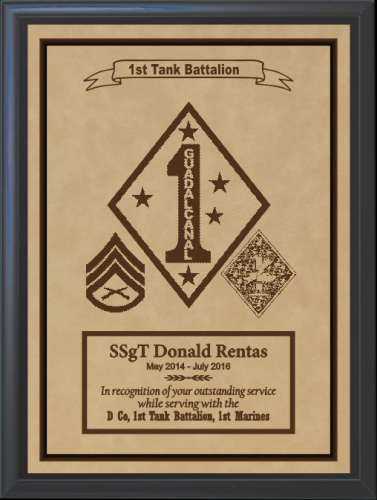 Military Leather "Emblem" Plaque 12" X 15"
Military Leather "Emblem" Plaque 8" X 10"
Military Leather "Emblem" Plaque 9" X 12"